Part-Time Workers Search New Exchanges For Health Insurance : Shots - Health News Many will find better coverage with smaller monthly premiums on the exchanges set up under the Affordable Care Act, insurance specialists say. But in states that decided not to expand Medicaid, some low-income part-timers are finding they don't qualify for federal health insurance subsidies. Across the U.S., many part-time workers have joined the millions shopping for coverage in the new health care marketplace. Some are uninsured. Others are being pushed into the new exchanges because their employers — companies that include Trader Joe's and Home Depot — decided to drop coverage for part-timers. "Jaime," for example, is a nursing student who lives in Redlands, Calif., and works 20 to 25 hours per week at a local Home Depot. (He asked that his last name not be used, fearing repercussions at work.) Jaime spends almost $4,000 a year for a health insurance policy that Home Depot offers to part-timers, covering both him and his wife. But the company will stop offering that benefit at the end of this year because it says the coverage doesn't meet the standards of the Affordable Care Act. So Jaime has been shopping for a policy on the California exchange, and says he's pleasantly surprised. "The program would be an improvement," he says, because the policy costs about the same as his old plan, but there are no lifetime caps on coverage like there were on the Home Depot policy. Most corporate-sponsored health care plans for part-time workers don't provide very good coverage, says Larry Levitt, senior vice president of the Kaiser Family Foundation, and an expert of the new health care marketplaces. And workers for companies like Trader Joe's, which has a fairly good health plan for part-timers, may suddenly find they can do better. "It's very likely that these part-time workers will get a better deal in the new marketplaces," Levitt says. 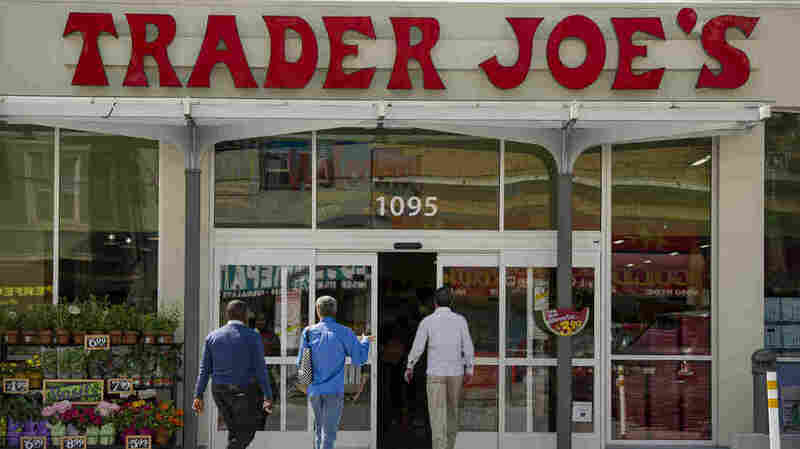 Trader Joe's, for example, will offer cash to part-timers starting in January to help pay for their insurance, and many of the workers will be eligible for tax credits to help them pay their premiums. "So they're likely to be much better off," Levitt says. Trader Joe's says it believes 70 percent of its part-time workers will pay less for comparable coverage in the health care exchanges. But that leaves 30 percent who could pay more, including "Jane," a student and mother of two. "It's really disheartening," she says. I'm absolutely disappointed by it." Jane, who didn't want her real name used because the company discourages its employees from talking to the press, works fewer than 30 hours a week at a Trader Joe's in Austin, Texas. "I would say that the insurance that I get through Trader Joe's right now is some of the best insurance that I've received as an adult," she says. Trying to match that coverage and price hasn't been easy. Jane hasn't yet been able to get a firm quote from healthcare.gov, but says her best estimate so far has been disappointing: a premium of at least $350 a month --$4,200 a year — for her family of four. "[That's] versus the $200 a month I'm paying right now," she says. "And that's not even taking into account the difference in benefits." And Jane says she's troubled by the results from another calculator on the Kaiser Family Foundation website that estimates the family's annual premiums will be more than $9,500. That's partly because the site judges that her family isn't eligible for any state subsidies. "As a resident of Texas, either way I look at it, I'm getting a reduction in benefits and an increase in price by moving to the government exchange," Jane says. One reason may be that Texas, like a number of other states, has not expanded its Medicaid program. Levitt says that's led to a sort of Catch-22. "In states that don't expand Medicaid," Levitt says, "you end up with this 'gap group' — people who are not poor enough or don't have the right family circumstances to qualify for Medicaid but, ironically, don't make enough to qualify for tax credits." So, says Levitt, whether you're going to be better off in the government marketplaces can have a lot to do with what state you live in. Still he says, in general, the exchanges will benefit part-time workers. Employers are not required to provide coverage for these workers, Levitt says, "and they are likely better off getting subsidized coverage in the marketplace." And, he adds, it's likely that the exchanges will benefit from an influx of part-time workers, since they tend to be younger and healthier than average.